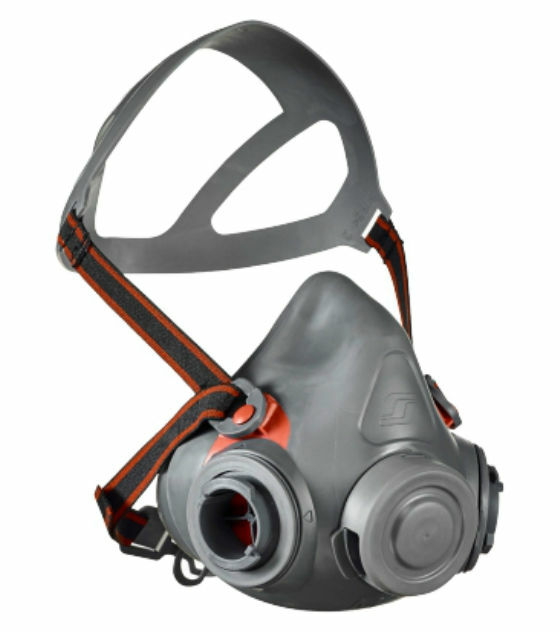 The 3M Scott Safety Aviva2 Twin Filter Half Mask is the next step forward in half mask technology from 3M Scott Safety. The AVIVA2 twin filter half mask is the next step forward in half mask technology from 3M Scott Safety. Innovative design elements such as a hybrid reflex face seal,an easy to-use leak check mechanism and goggle "pinch" have been integrated into the AVIVA2 half mask, with user comfort and protection in mind. AVIVA2 is suitable for a variety of applications including paint spraying, chemicals and manufacturing. AVIVA2 utilises the Pro2 range of filters, including the new Pro2Flex low profile filter.